By definition, haute couture presentations go over the top with fantasy creations not made to be worn on the street, but to impress on the catwalk. 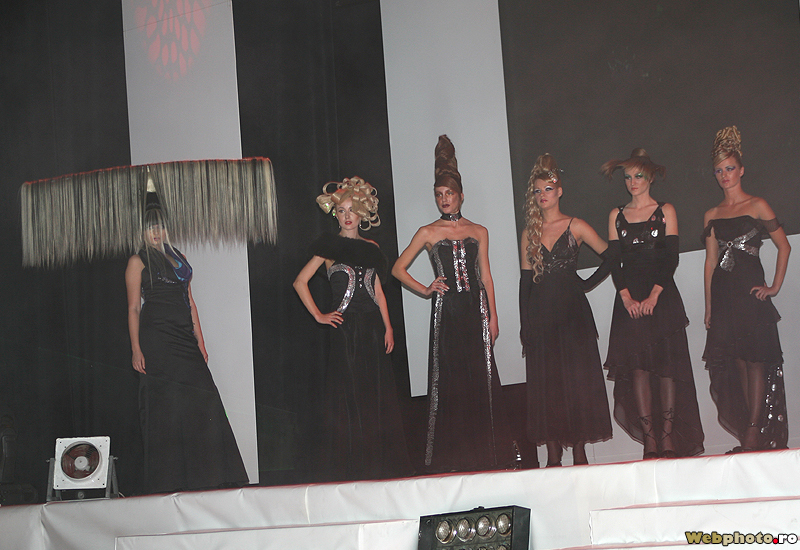 At Wella Fashion Show, the accent was not on dresses, as usual in a presentation, but on haircuts. 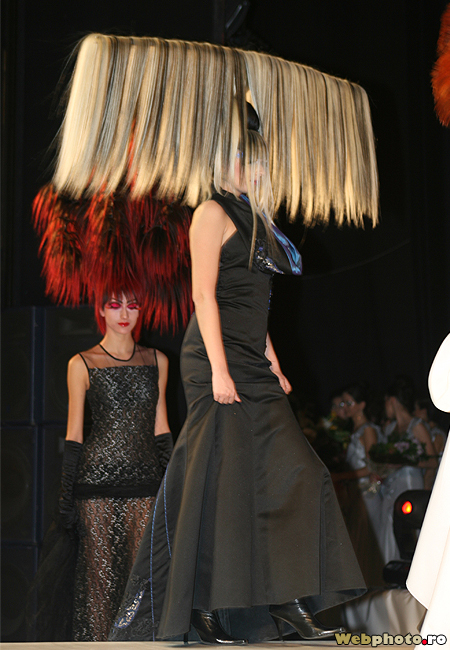 Some of the wildest hair arrangements could be seen on stage, with bright colors that are found in the regular products of this brand, but in an audacious form. 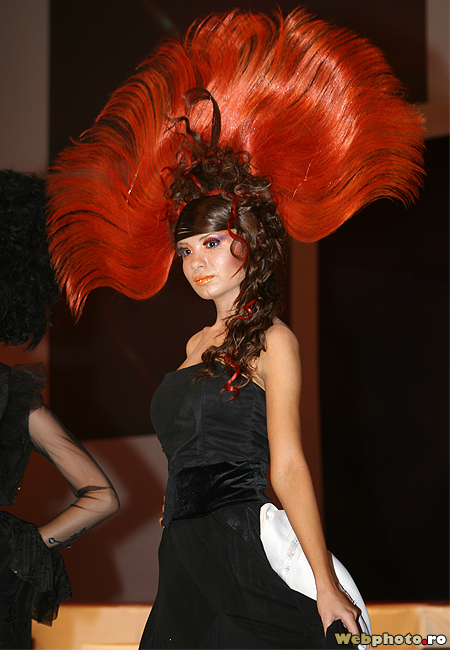 The presentation of artistic haircuts was the high point of an event that lasted an entire day and included workshops for hairdressers, seminars by professional stylists and an explosive evening with music and dance performances by Flamingo Boys and Flamingo Girls. As wild as they may seem, these haircuts follow the trends of the next year, so while you will not see such wild haircuts on your way to work, the shades of hair dye will be common place. Wella Professionals have summarized these trends that will be the movers and shakers of the year in four categories: Wonderland, Mineral Splendor, Factory Lyrics and Couture Allure. Wonderland is a style inspired by nature, a real floral explosion. The hair is left flying in the wind, no matter how – long or short; it is a light color, the haircuts are funky, with various curls. The style reflects a natural color palette, with warm pastel shades. Mineral Splendor uses expensive materials for a posh look. Following an organic shape and the fluidity of mineral lines formed over centuries, the C-shape cut is the key to any haircut in this style. Whether it is the forehead or the beck of the neck, the delicate and dramatic C-shape cut gives the hair a form with a delicate and fluid density. The metallic warm and cold colors bring glossiness with the help of some precision techniques: combinations of amber, bronze, ash and mate gold. The final look is fresh and classy, of a glamorous richness. Factory Lyrics is based on contrast. The haircuts are graphic, broken on purpose, with structured and chaotic parts, straight and curly textures. The way in which the colors are mixed is vital. The pallet of colors must not be monochrome, but rather a palette with dusty whites and shades of smoky black. Couture Allure brings a spot of individualism. It is a new wave, demi-couture, urban-couture, in which the designers redefine the proportions and restructure the volumes. The art is abstract, the design is radical. A world of courage and bold innovation. 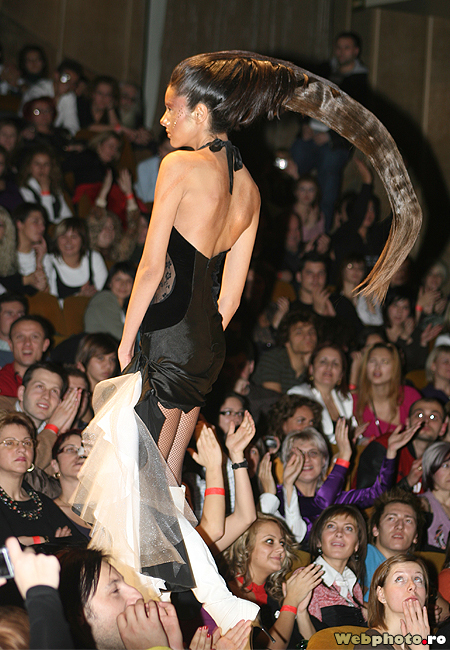 The shape of the hair is structural, an homage to the rye-berry technique from a modern perspective. 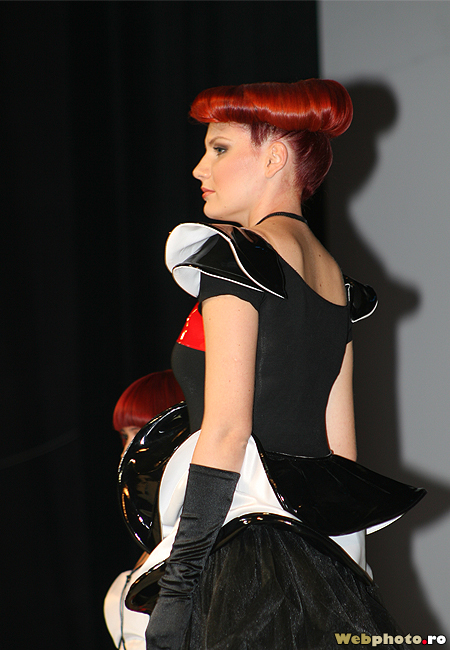 The haircuts are powerful and bold, the structure is silky, red and black are the dominant colors. Pure shades, saturated and dense are used.